Time: 3h50min (walink time without stops). Difficulty: Easy, short stage. 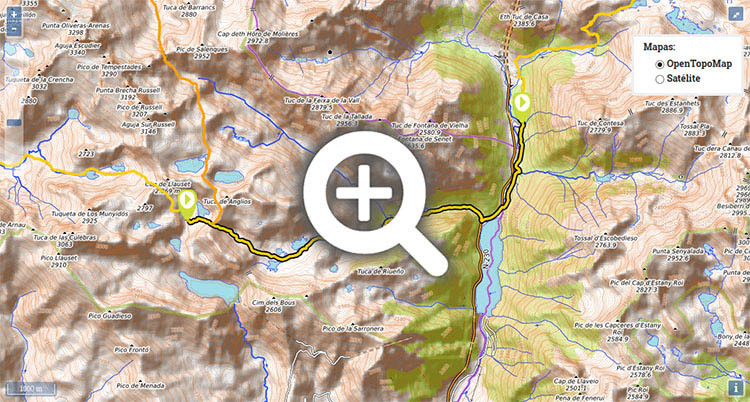 The first section crosses high mountain terrain, and there may be snow at the beginning of summer. 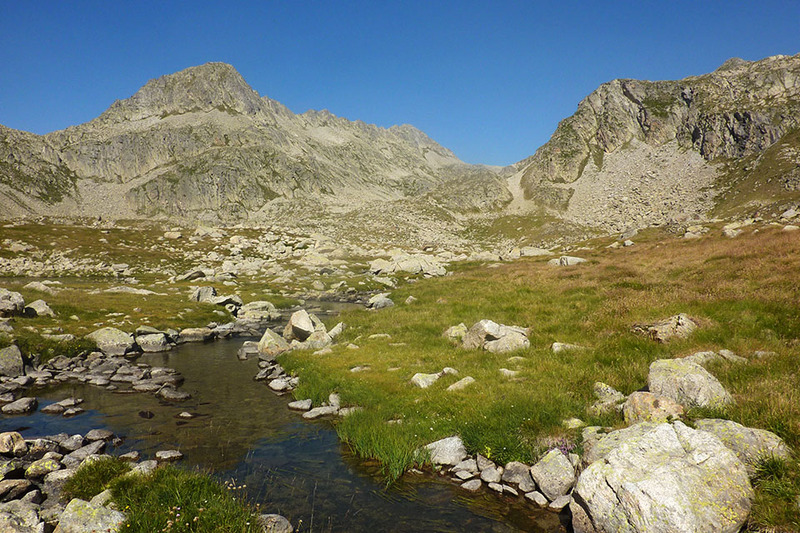 The descent from Riueno col down to d'Anglios lakes is made laborious by the boulders. 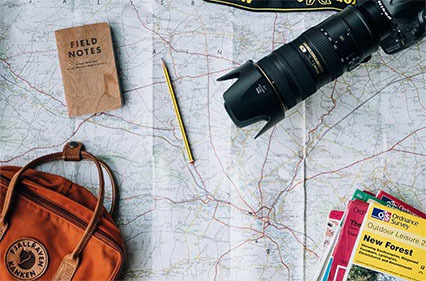 Water: Throughout the stage you will find several lakes and streams. 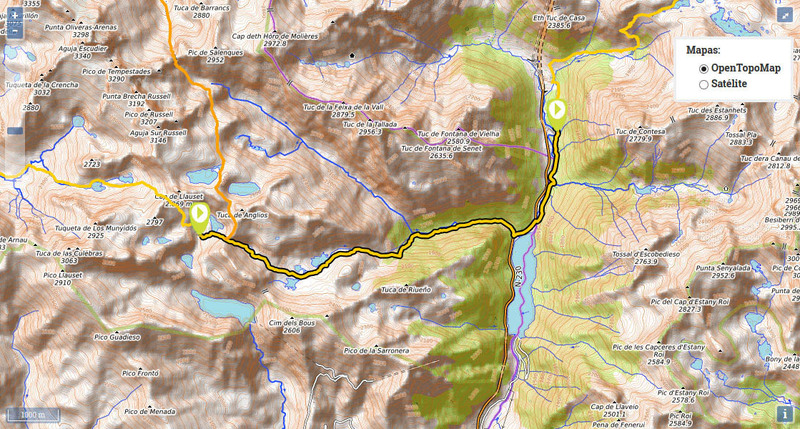 (0h0min;0km) Refugio de Cap de Llauset (2426m). 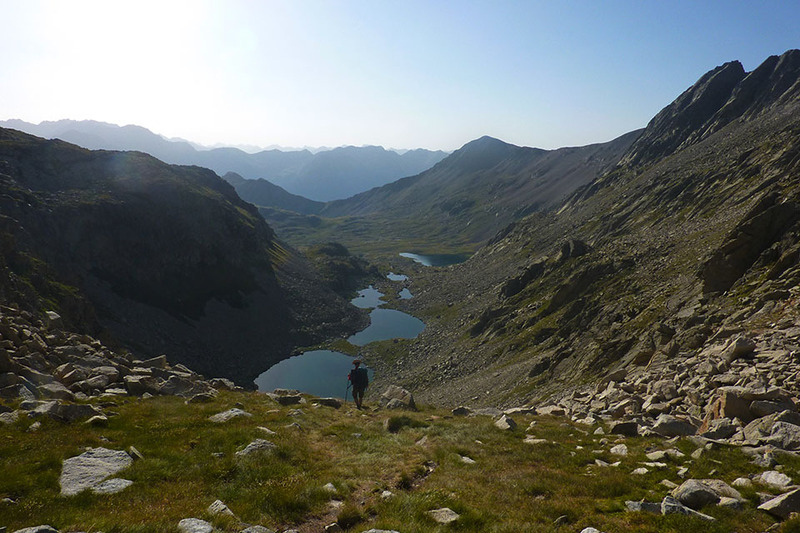 You head out in a westerly direction, after 5mins you pass Cap de Llauset lake and embark on a short climb up to Riueno col, also known as Los Ibones col.
(0h20min; 0.6kms) Collado de Riueno (2525m). 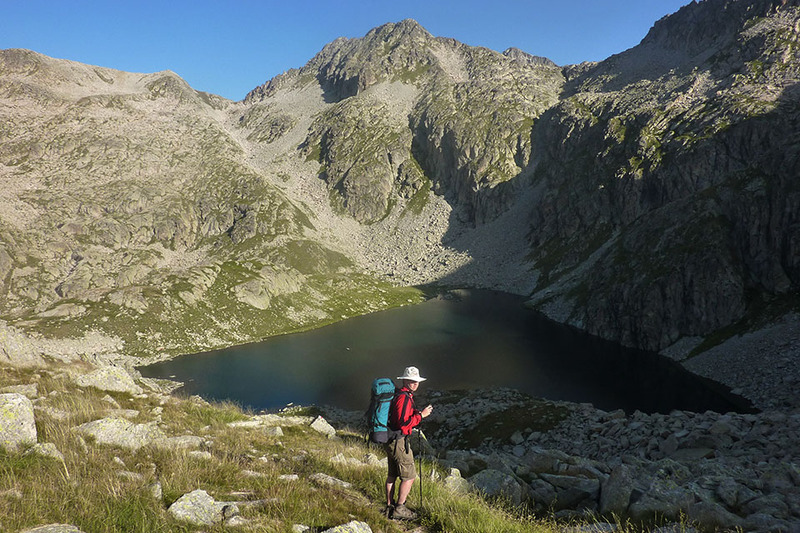 The descent to the first lakes (Cap de Anglios lake or Río Bueno lake) is uncomfortable, dotted with loose rocks and boulders. 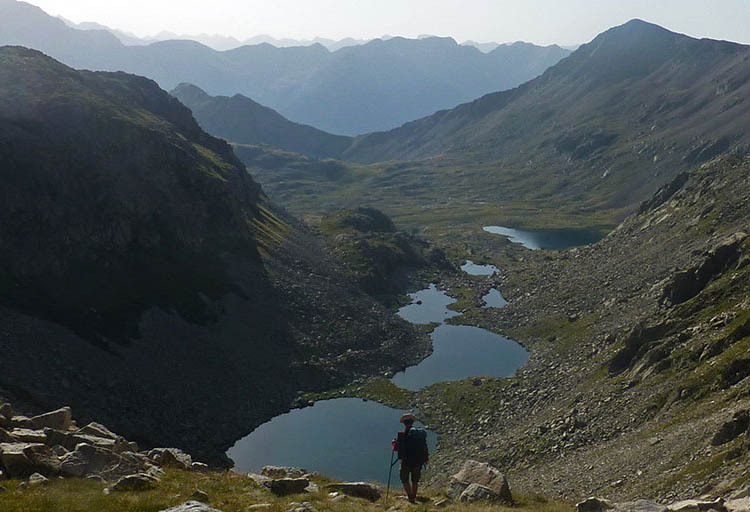 You walk round the lakes on the right and take on another downhill section until you reach yet another area dotted with larger lakes (Estanys d'Amglios). 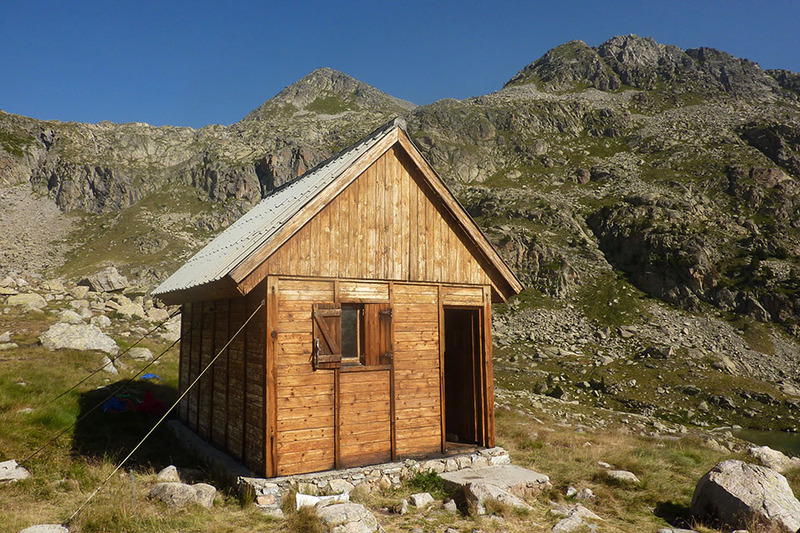 After the second lake (Estany del Mig), there is a small wooden shelter (good condition). 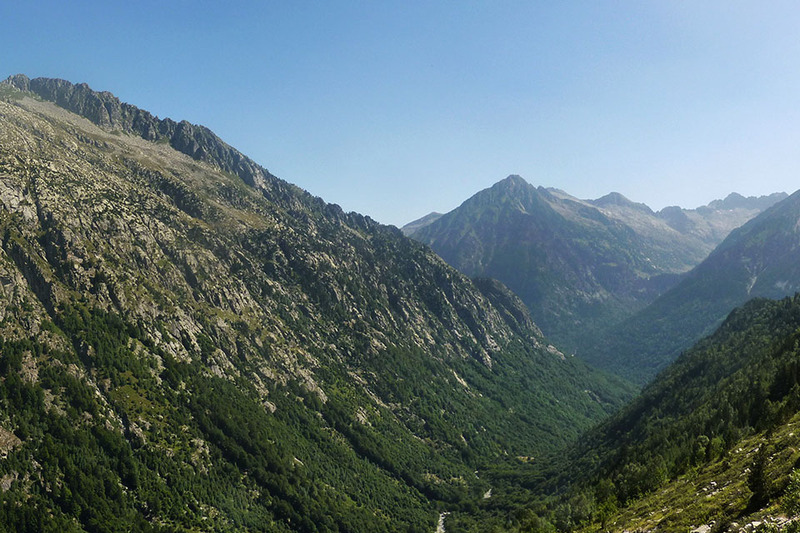 From now on, the path heads decisively down across Riueno ravine in search of Salengues valley. 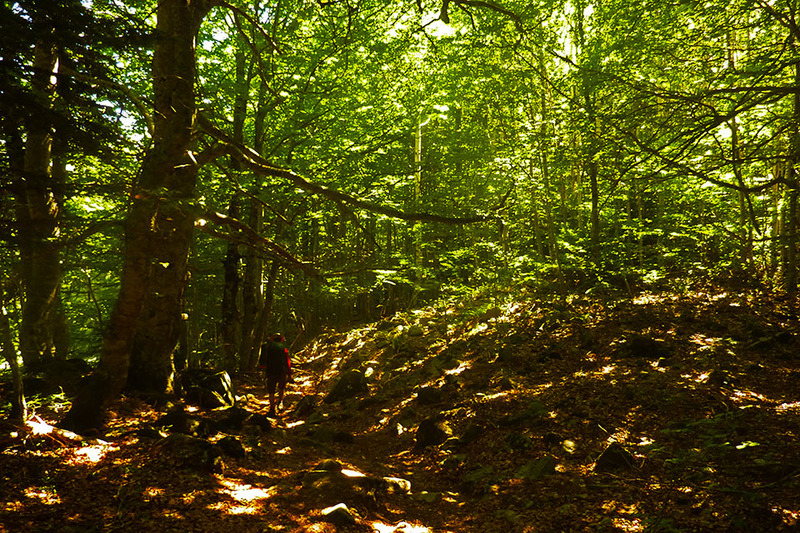 The path heads into woodland, alongside a river, towards Baserca reservoir. You pass a drinking fountain and soon reach the road. At the beginning of the stage, Refugio de Cap de Llauset (/). During the stage, by the Anglios lakes, lies the Anglios free refuge (good condition, clean) and almost at the end of the stage, by the road, l'Hospitalet shelter or the Baserca forestry shelter (poor condition). 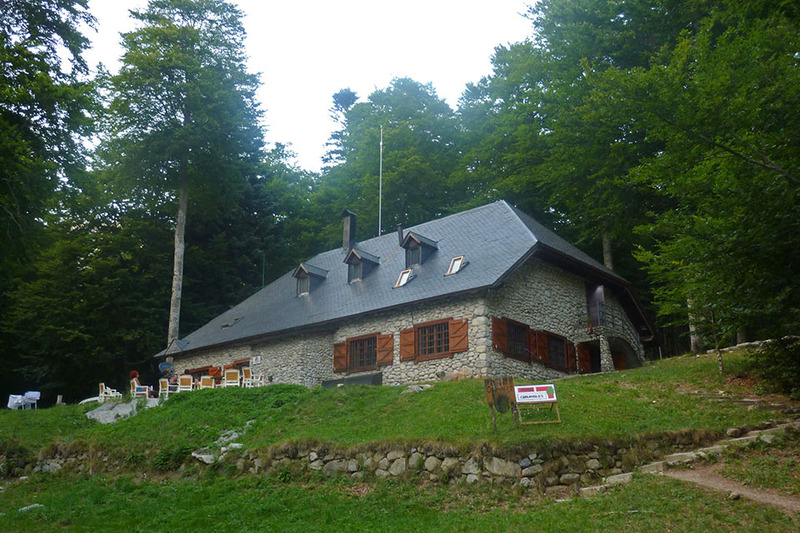 At the end of the stage, Refugio de Conangles (/). Several buses stop at the Conangles car park every day. 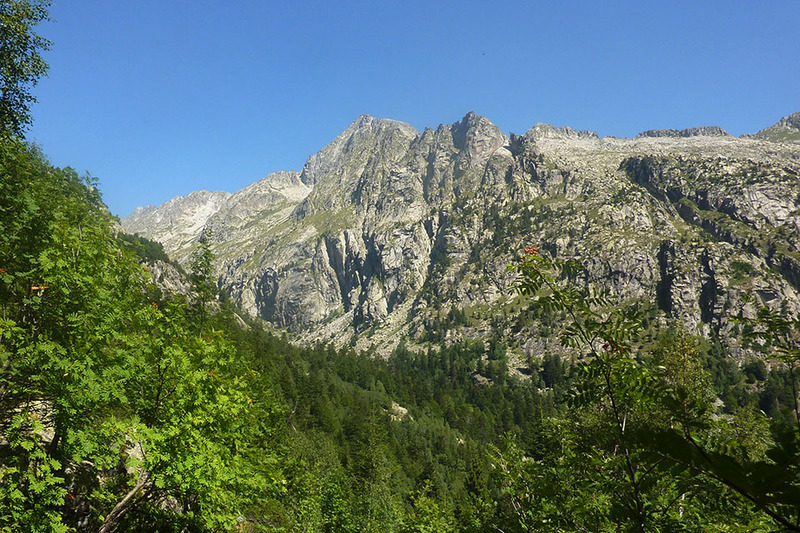 The Aigües Tortes Park bus skirts around the National Park, is in service throughout the summer and is ideal for treks across the park. The bus coming from Barcelona or Lleida also stops at the car park (several per day), and this service is managed by Alsa bus company.